I warmed the bread in oven and had it with lotus spread (hint: mooncake) today. It smelt and tasted as good as fresh. I picked up my order today. 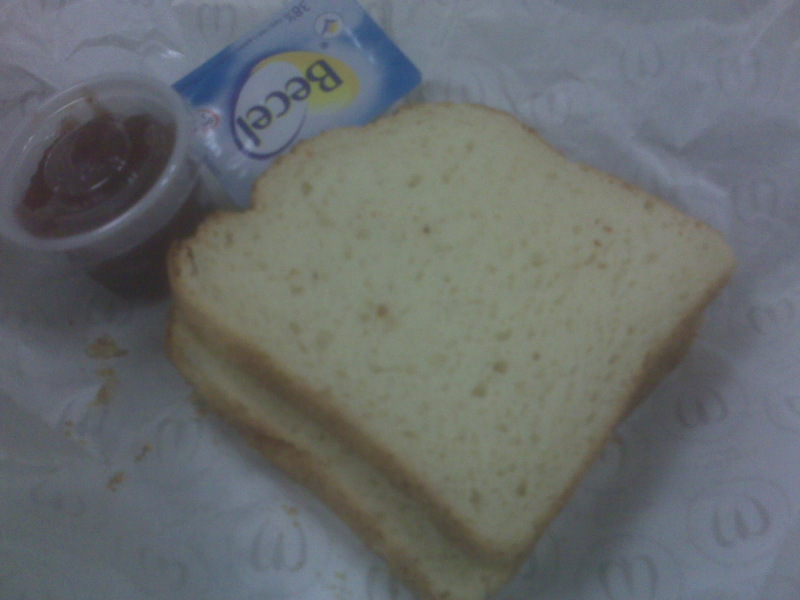 Texture of the bread is a bit dense compared to the usual wheat ones. It is not fluffy but it is soft and moist. However it has the eggy bakery smell. I had 2 slices of my ordered bread toasted warm (pic to the right, $20). It was a bit awkward to have it with jam and butter as I did. I checked with the Mandarin Oriental cake shop when having lunch there today. They do not have GF cakes, but they do sell gluten free bread at $68/4 slices. You have to order one day in advance, which means they are freshly baked. Will order some and report back!